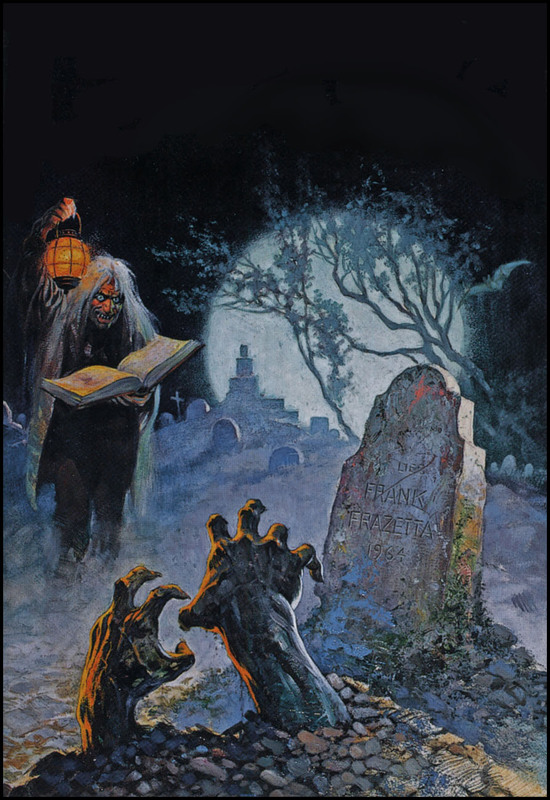 The piece is from Kelly’s Eerie Visions portfolio and Eerie #80 (cover), both from 1977. Epic head trip by Todd, who painted several other scenes involving mariners and mythical beasts, according to Last Gasp’s Ron Turner. The ad is probably from a Krupp Mail Order Catalog. The giant poster (20″ x 26″) was on sale fairly recently at Last Gasp Publishing, although it’s out of stock now. Old Man Willow holds the wet bar and TV, folks, and the bed is “upholstered in gold crushed velour.” Those are real tree stumps leading up to the bed. Here are two more specimens, with art and titles based on the Lord of the Rings and Hobbit animated movies of 1978 and 1977, respectively. 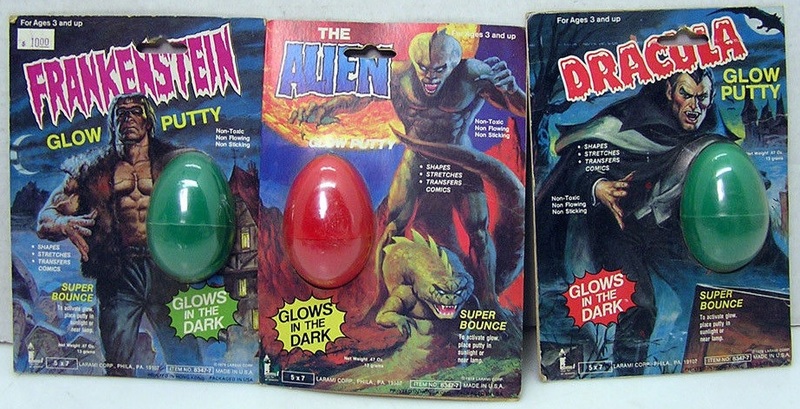 Blessings upon you, Larami, for these and your many other contributions to my wasted and wonderful childhood. 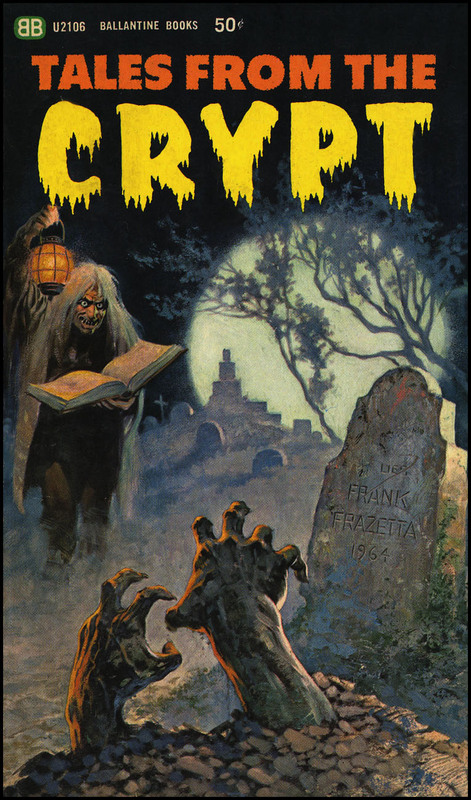 Nine years after Bill Gaines was forced to shelve EC Comics’ horror, crime, and sci-fi titles due to creative restrictions enforced by the Comics Code Authority, Ballantine reprinted a number of the original tales in five volumes published between 1964 and 1966: Tales from the Crypt (1964), The Vault of Horror (1965), Tales of the Incredible (1965), The Autumn People (1965), and Tomorrow Midnight (1966). 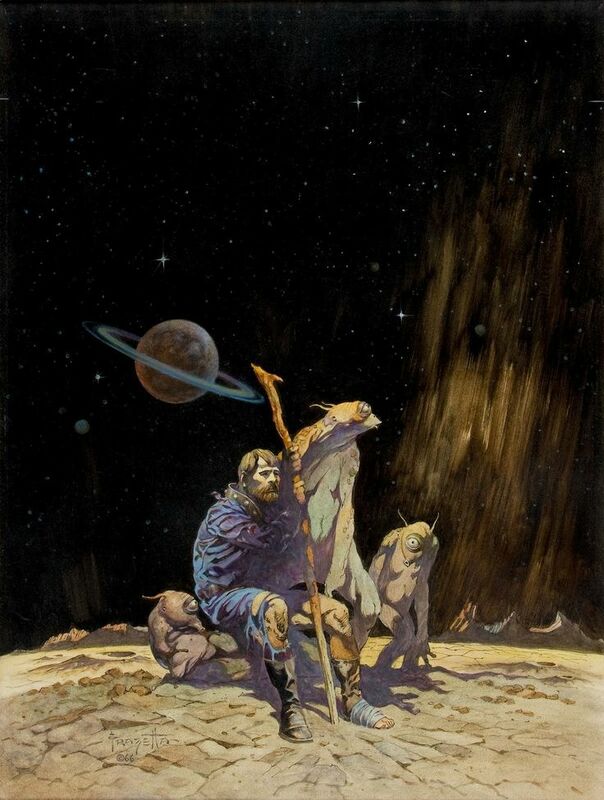 Frazetta, who had worked briefly for EC in the ’50s, painted the covers for the whole series. 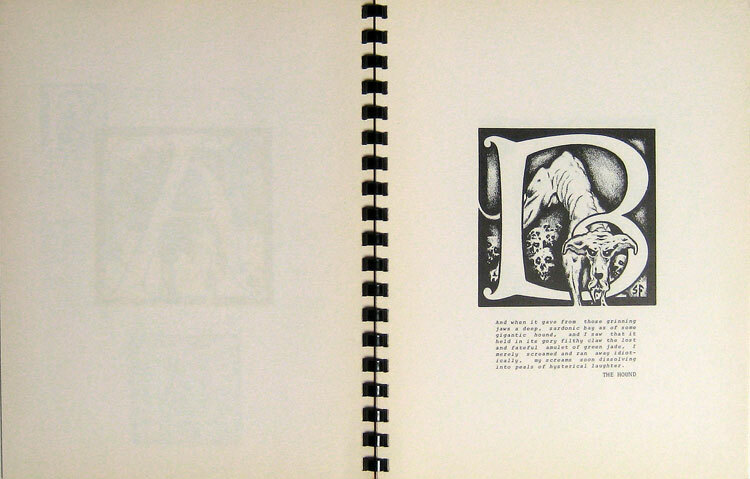 Original art for The Autumn People and Tomorrow Midnight are below. 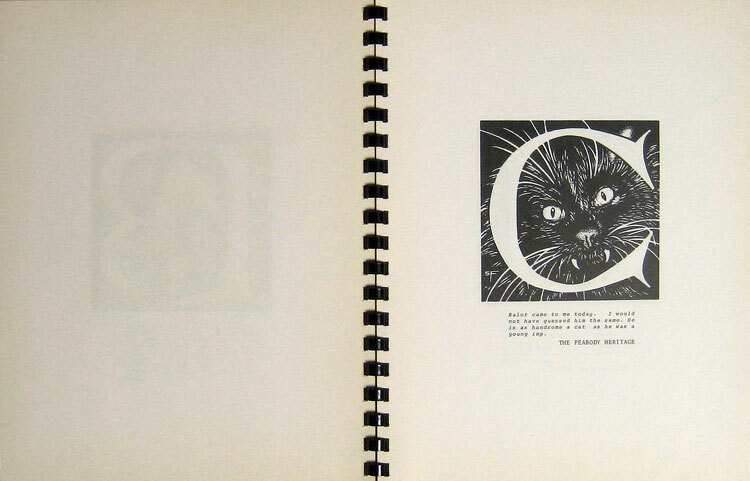 You can see all the volumes together here. 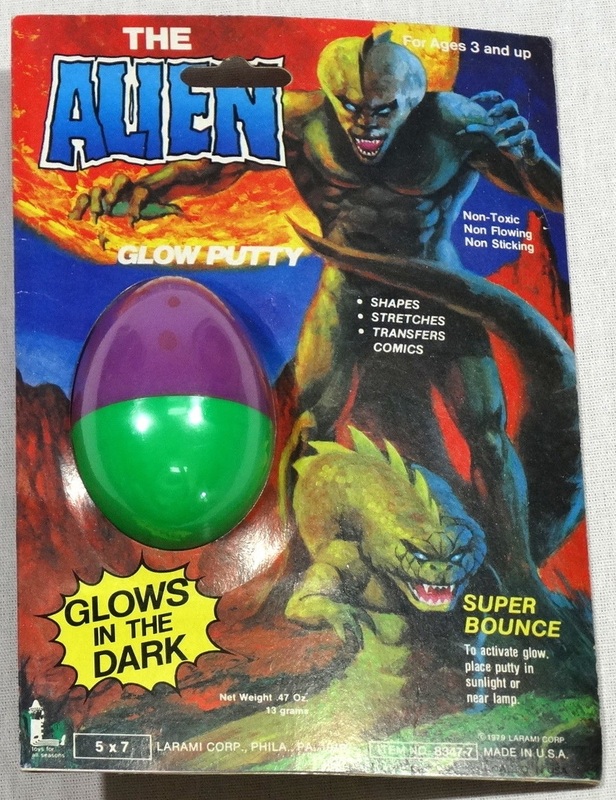 Although the stories were in black and white and awkwardly laid out due to the smaller paperback format, the series is notable because it marked the first time the comics had been anthologized, thus introducing a new generation, already developing a taste for what would eventually be called speculative fiction, to the visceral and groundbreaking (pun intended) work of EC. 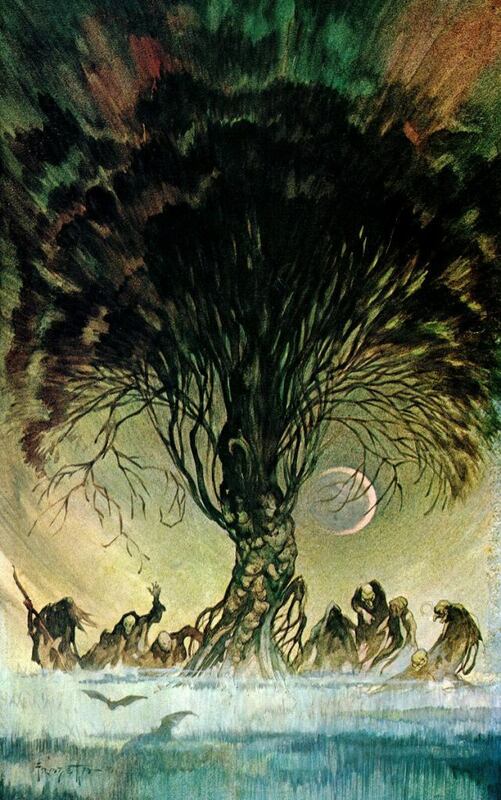 The following year, Ballantine would release the first authorized paperback edition of The Lord of the Rings, probably the single most important event in the popularization of the fantasy genre. 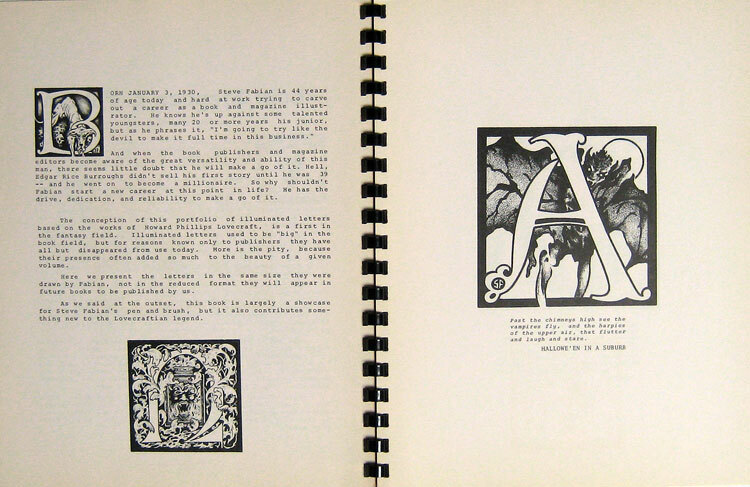 Starting in 1969, Ballantine struck again with the remarkable Adult Fantasy series, which gave H.P. 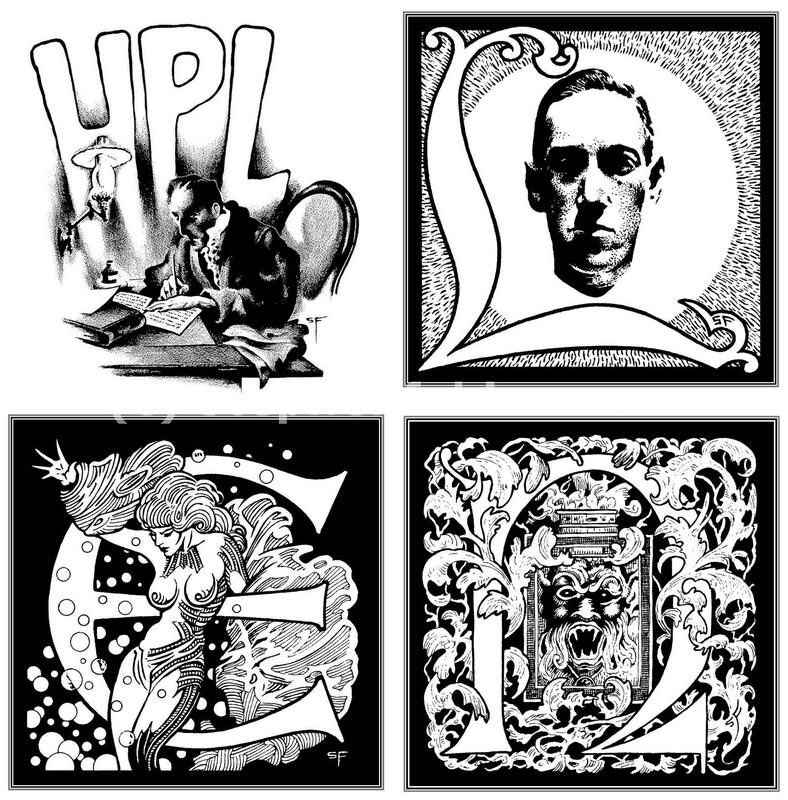 Lovecraft, William Hope Hodgson, Clark Ashton Smith, William Morris, Lord Dunsany, and several other genre pioneers the lofty status they hold today. 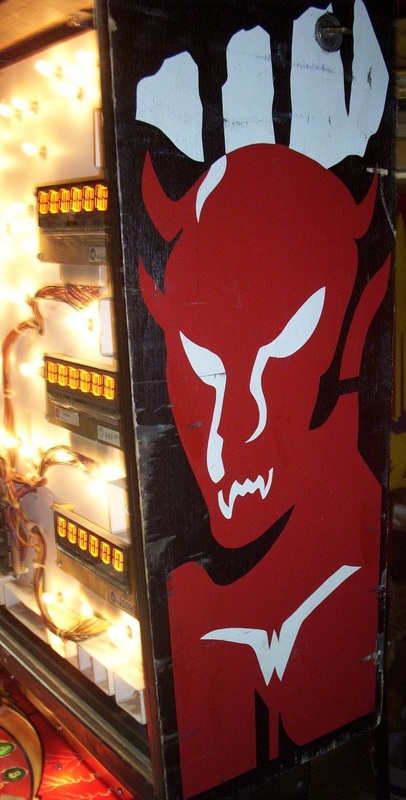 It was fun when the devil was in style. 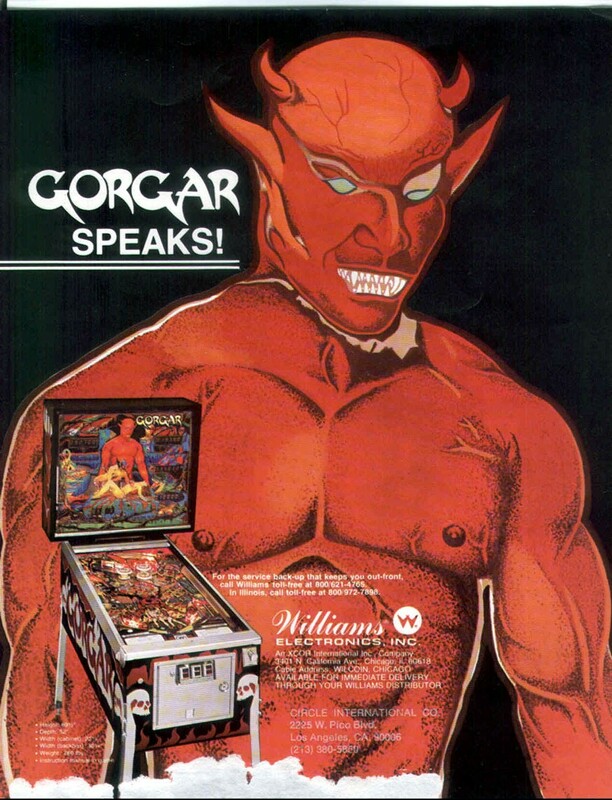 Before Satan’s Hollow (Bally Midway, 1982), there was Gorgar. 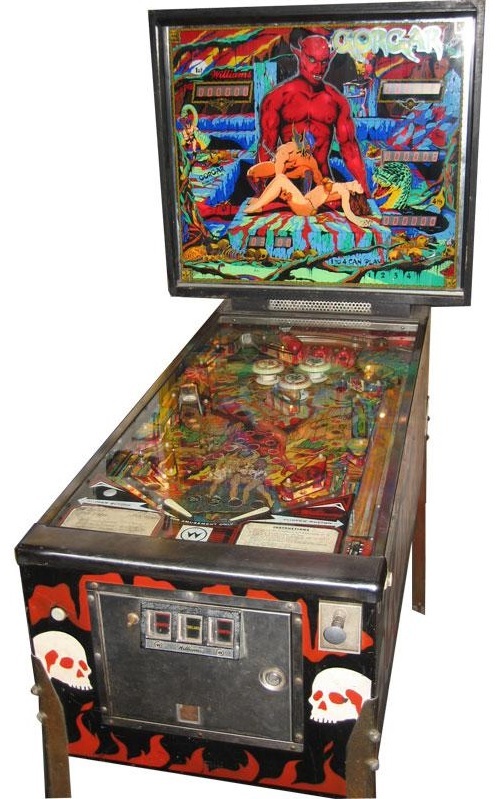 Designed by Barry Oursler, who designed the Joust and Defender pinball machines, with art by Constantino and Janine Mitchell, Gorgar was the first commercially released pinball machine to feature synthesized speech (I believe the first video game to do the same was 1980’s Berserk). 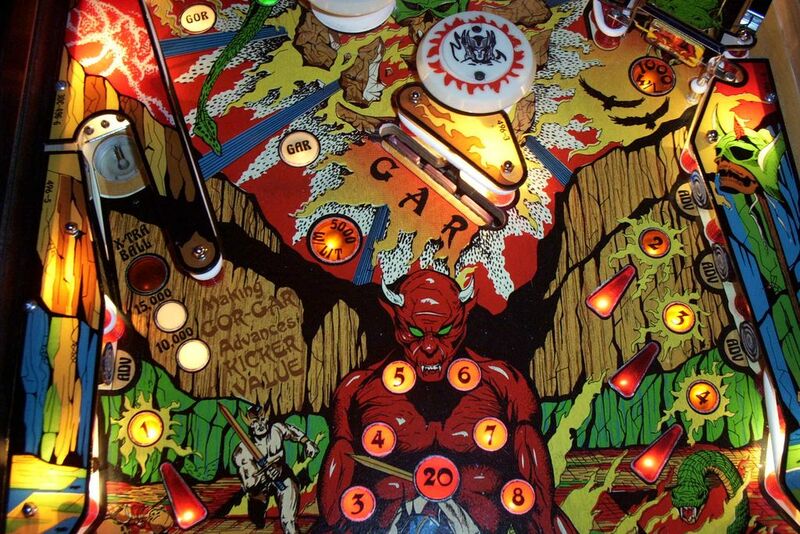 There were seven words total—Gorgar, Speaks, Beat, You, Me, Hurt, Got—used in a number of different variations: “Gorgar Speaks,” “Me Gorgar,” “Me got/hurt you,” “You Beat Me,” and so on. See a demo, including speech, here. 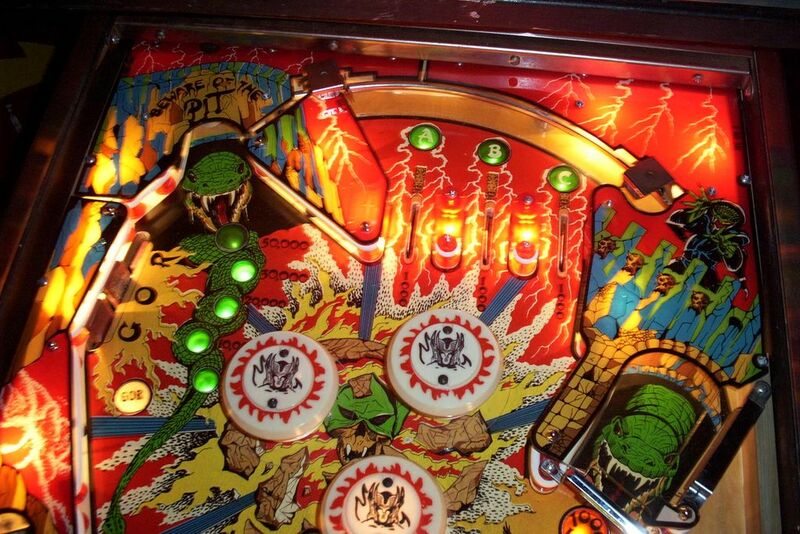 Images are from The Internet Pinball Database, where you can see a lot more. Below is the last page of the flyer and a promo poster. Because nothing makes a dude want to play with metal balls and flippers like an attractive young woman scantily clad in bearskin. 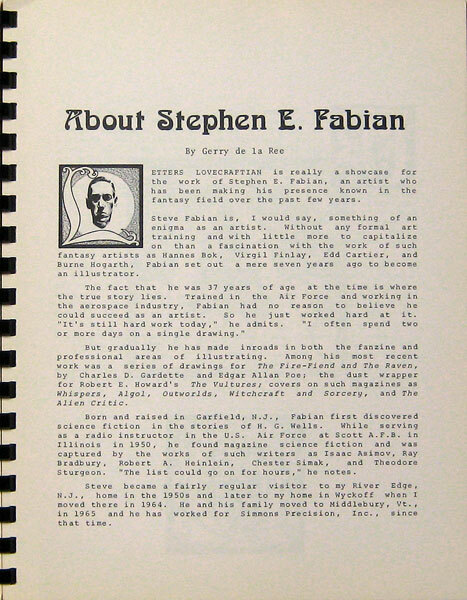 If you’re new to Stephen Fabian, Pinterest has a pretty good sample. I didn’t know that he gave up his career as an aerospace engineer at age 37 to pursue a career as a professional illustrator, and that it took him only seven years to hit the big leagues. 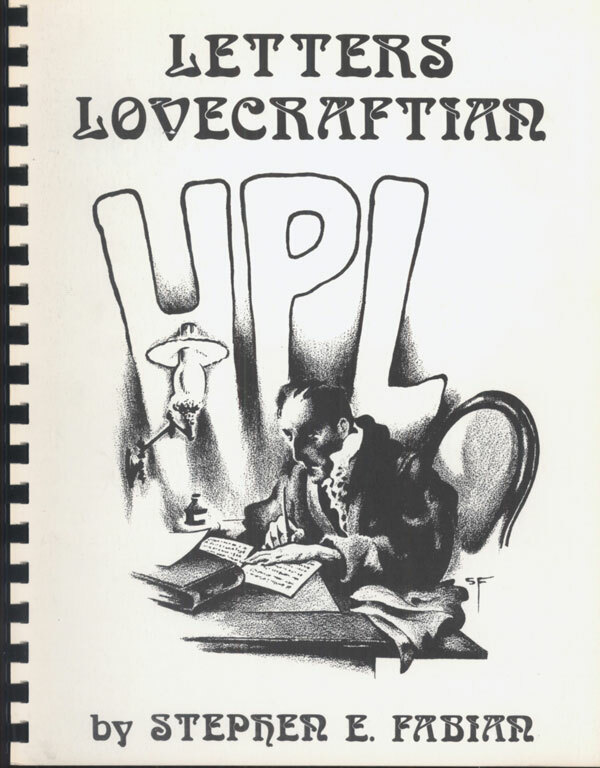 Letters Lovecraftian was published one year before he was nominated for his first Hugo Award for Best Professional Artist. Fabian’s biggest artistic influence is Virgil Finlay, a definitive illustrator of Lovecraft and Weird Tales and a favorite of Lovecraft’s. I found myself in wonderland, beautiful paintings by famous SF artists hung on all the walls above the many bookcases that stretched around the room. The bookcases were all filled with rare science fiction and fantasy books. My sense of wonder was overflowing, and by the smile on his face I could see that Gerry knew how I felt. As I looked around, it never entered my mind that one day I would see my artwork displayed up there with all those wonderful artists, and that I would be part of that wonderland. One dreadful day Helen [Gerry’s wife] phoned to tell me that Gerry had only a day or two to live and would like to see me. It was a time of great sorrow. When I got there he greeted me at the door looking as normal as I’d ever seen him, though I knew that he suffered from sugar diabetes. During the next hour or so nothing was said about his imminent passing, and I don’t remember what we talked about because my mind was so numb from the shock of what was happening. I do remember that when the time came to leave, we looked at each other, there was an unspoken understanding that this was the final goodbye. We hugged and I left in a kind of daze. A few days later he was gone, and I’m still amazed when I think of how calm and ordinary his demeanor was during that last visit. Just before I left he waved at his magnificent library of rare and very expensive books and asked me to take any book I wanted. I couldn’t do it. Instead, there was a small plastic model airplane that a neighbor’s kid had made, and I took that because he insisted I take something to remember him by. And just like that, a truly wonderful part of my life was gone. That small plastic model airplane that I took sits on a bookshelf in my library and every time I look at it, and the tiny pilot that waves at me, I think of him.